Growing numbers at the all-age village school necessitated the building of a secondary school in Ivybridge. This was part of the reorganisation of education in Devon, which saw the phasing out of all-age schools. The first meeting of the new school’s governors was held at Ivybridge County Primary School on 19 June 1957. Work on the new school began in the same year. Ivybridge Secondary Modern School was officially opened on Friday 11th July, 1958 by the Parliamentary Secretary to the Ministry of Education, Sir Edward Boyle, who planted a commemorative tree near the school flagstaff. Mr K. A. Baker was the Headmaster. 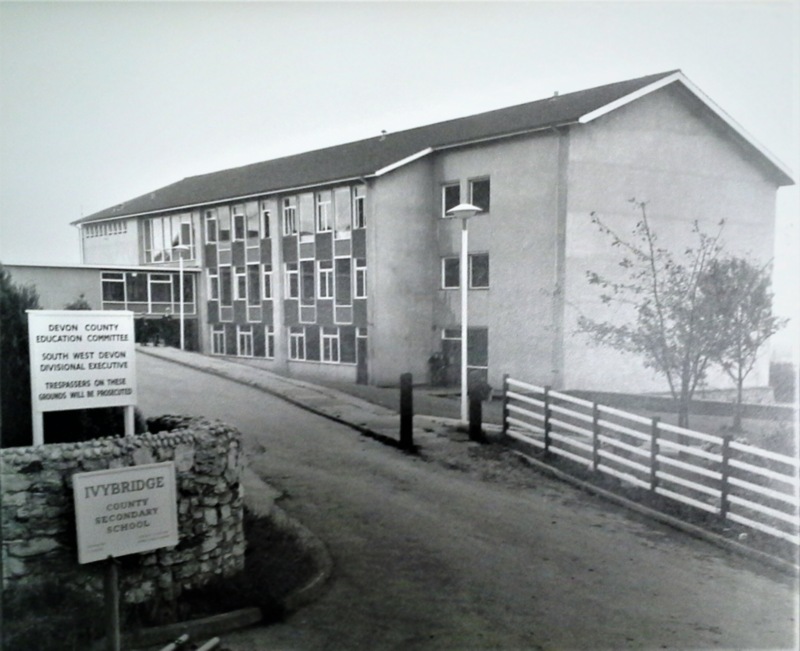 On 23rd July, 1971, Ivybridge County Secondary School closed its doors at the end of the summer term, to re-open in September as Ivybridge Comprehensive School. Mr Gerald Bright, who assumed responsibility as Headmaster in autumn 1970, oversaw the change to pupils working at their own ability level in all subject areas. This was supported by the ‘tutor-group’ pastoral system, which replaced the previous ‘forms’. The Duke of Edinburgh visited the school in 1982. The school went on to become Ivybridge Community College under the leadership of Mr Geoff Rees CBE who was Headmaster for 22 years (1987 – 2009). During his time, P.E. Teacher Michaela Breeze won Gold in Weightlifting in the 2002 Olympics. He was succeeded by Mr Rob Haring (2010 – 2016) and the current Headteacher is Rachel Hutchinson. The college was awarded a sports specialism in 1997, a science specialism in 2004 and a third specialism in languages in 2005. It became an academy in 2010, independent of Devon County Council’s control.